Of the 14 clubs in a golf bag, the putter usually inspires the strongest emotions. After all, no matter what a golfer goes through to get a ball onto the green, once there, it’s all down to (hopefully) a stroke or two with the putter to make or break the hole. Some golfers stay loyal to a trusty “flatstick” for years. The great Golden Age golfer Bobby Jones had Calamity Jane, a secondhand hickory-shafted putter with a rusty head. Ben Crenshaw, known as the finest putter in the game during his 25-year PGA Tour career, had Little Ben, a classic Wilson 8802 putter that helped him win 19 PGA Tour events and two Masters titles. And someday, the next golf legend may have a Sandflo, a new name in bespoke golf clubs. 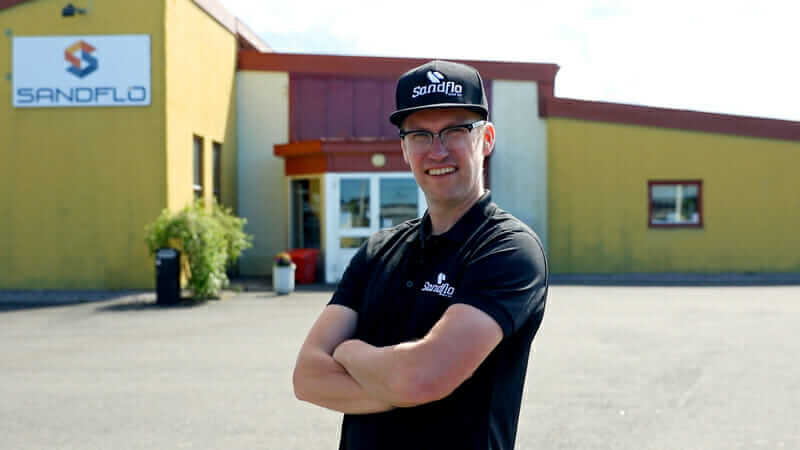 Johan Sandflo is an enthusiastic amateur golfer and the owner of Sandflo Mekanik, a specialty precision-manufacturing shop in Trollhättan, Sweden, with customers in the Swedish aeronautical and automotive industries. 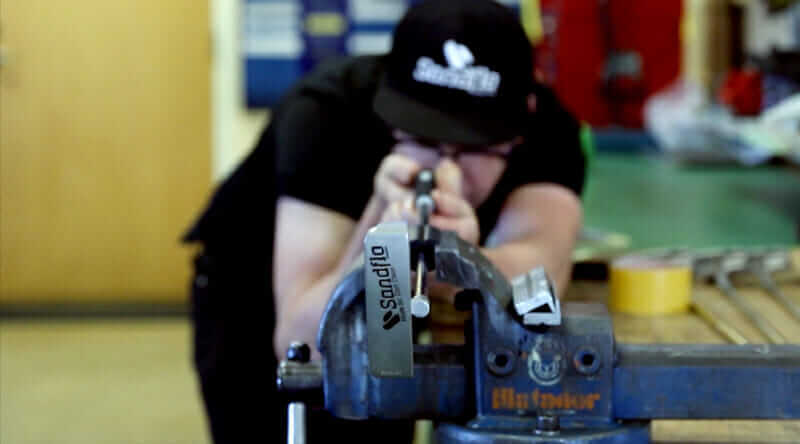 With a passion for golf and a precision-fabrication shop at his disposal, it was only a matter of time before Sandflo started applying his technical skills to improving his golf game. Johan Sandflo. Courtesy Sandflo Golf Co.
Sandflo started looking online for clubs that were different, more personalized—and soon realized he was in a position to do more than just tinker with clubs: He could make his own. Focusing on the simplest club in the bag, and the one with the most latitude for personal expression, he chose the putter. Most of Sandflo’s putter designs to date have been variations on the classic Anser blade design. Norwegian engineer and Ping Golf Company founder Karsten Solheim originated the Anser in 1966; when the patent expired in 1984, imitators sprang up overnight, making the Anser-style blade the most common putter design in the world. It’s a simple but effective shape that still poses challenges to properly machine. Even with nearly 20 years of experience as a machinist, a professional needs the right tools to do the job. And when Sandflo discovered Autodesk Fusion 360 after trying other CAD products, its CAM features were just what he needed. Most Sandflo designs echo the classic Anser style. Courtesy Sandflo Golf Co. Customizing his putters to meet clients’ demands is key for Sandflo, starting with the material used for the club head. Most customers choose 303 stainless steel for its feel and low maintenance, but Sandflo has made putters out of carbon steel, copper, brass, aluminum, titanium, and even wood. Customers can also choose from a variety of different face patterns for another individual touch. 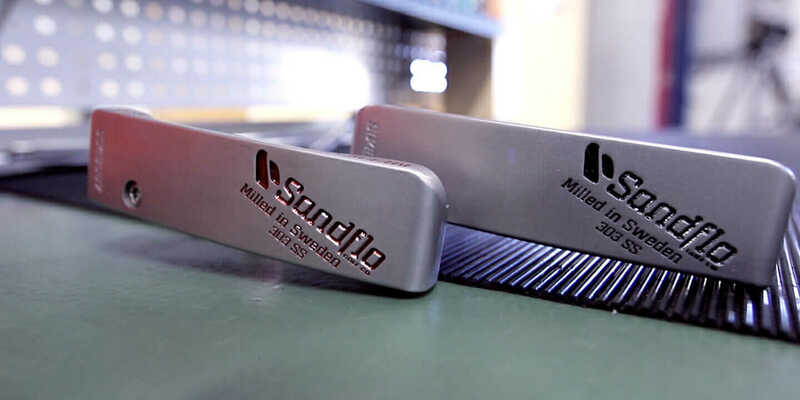 Custom engraving allows Sandflo to incorporate additional personalization into his putters—something that’s important to him and to his customers. Buyers usually have an idea of what they want in the way of custom engraving, though some simply leave it to Sandflo’s own creativity. Once a rough design is determined, Sandflo gets to work on the 3D model. Because the application is cloud-based, he can email a link that allows the customer to see the live 3D model and give him feedback. “This is really the advantage with Fusion 360, since it gives me a very user-friendly and smart way of showing the progress of the design,” he says. With the design nailed down and all the custom flourishes fully detailed, Sandflo makes a photorealistic rendering of the putter and emails it to the customer for a final review. The end result is a personalized putter that is all their own, not something that anyone can buy off the rack. “The most common thing my customers tell me is, ‘I sink more putts because of the confidence I get when putting with something that I love and that I have been involved in,’” he says. 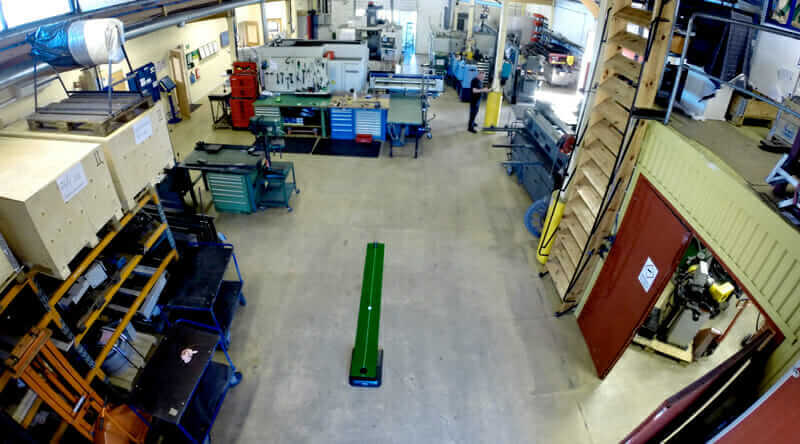 A peek inside Sandflo Mekanik. Courtesy Sandflo Golf Co.
Scotty Cameron is the big name in the world of “fancy” custom putters, and although Sandflo sees that brand as an inspiration—“I think that all of us smaller putter-makers have a lot to thank him for,” he says—Sandflo wants to keep his operation on a smaller scale. His putters aren’t sold in stores, but he does have samples in some local golf shops to attract interest. “I would like it to grow bigger than it is, but in a controlled manner,” Sandflo says. “We may expand to making series of putters, maybe 100 pieces of one model, and offer small and less-expensive engraving on them. But the heart of the business will always be custom-made ‘make it yours’ putters.